April 1, 2015. Last Friday, Susan Bissell, UNICEF’s chief of child protection, spoke to a room teeming with students from the Harvard T. H. Chan School of Public Health, the Harvard Kennedy School, the Harvard Law School, the Harvard Graduate School of Education, and the Fletcher School of Law and Diplomacy. 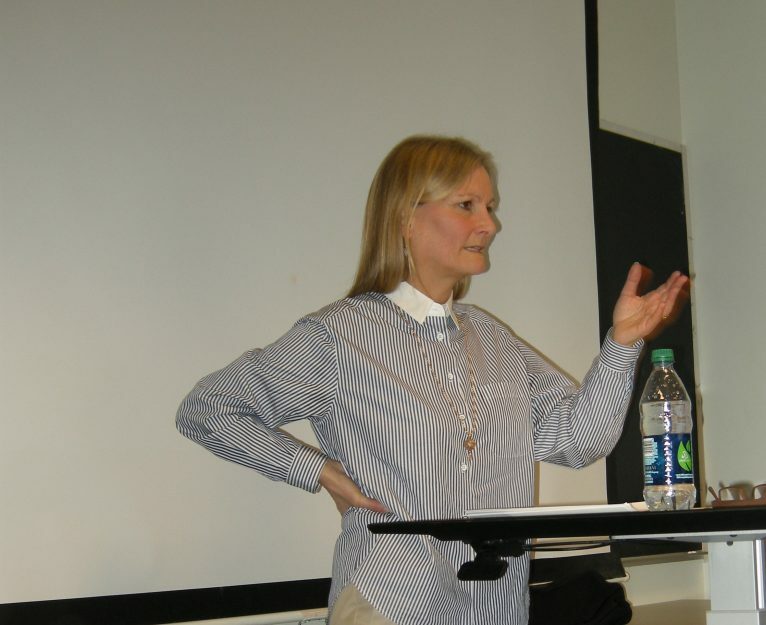 Bissell was delivering the first lecture for a new course, entitled “Child Protection in Theory and Practice.” The course is led by Harvard Chan Professor Jacqueline Bhabha and features guest lectures by Bissell; Julie Boatright Wilson, the Harry Kahn Senior Lecturer in Social Policy at Harvard Kennedy School; and Nigel Cantwell, a child protection expert. “Child Protection in Theory and Practice” is one of a suite of five courses that make up a new curriculum in child protection housed at Harvard Chan but available to students across the university. The curriculum is part of the Graduate Level Child Protection Program, a new UNICEF/Harvard initiative whose ultimate goal is to lay the groundwork for professionalizing child protection by democratizing access to the interdisciplinary expertise necessary to do so. The initiative, which comprises the curriculum as well as a fellowship, is the result of a shared vision by Bissell, Bhabha, and Jennifer Leaning, director of the FXB Center for Health and Human Rights. “Child protection is not ‘child protective services,’ but encompasses a wide range of issues, spanning mine-risk awareness to child marriage to violence against children, which urgently need addressing,” Bissell said. These topics were at the heart of a Work in Progress session delivered just prior to the lecture, featuring presentations by the first cohort of fellows under this initiative. Known as the G. Barrie Landry fellows, in honor of the donor who made the fellowship possible, the three spoke about their hopes of translating their research here at Harvard into practical results in their home countries. Fellow Noor Al-Kasadi outlined a plan to provide emergency assistance to children wounded by landmines and affected by conflict generally in Yemen. Emelia Allan, a child protection officer from Ghana, discussed the impact of floods on children in Ghana and outlined a plan to include children in the country’s future disaster risk management planning. Finally, Chivith Rottanak, of Cambodia, called for a better understanding of the co-occurrence of sexual, physical and emotional violence against young people, so that service providers can better deliver the comprehensive care children need. This first group of Landry fellows is proving to be a central component of the new venture, as they bring their many years’ experience as child protection officers to the classroom. Krista Oehlke is a research assistant at Harvard FXB, where she coordinates the curriculum in child protection.